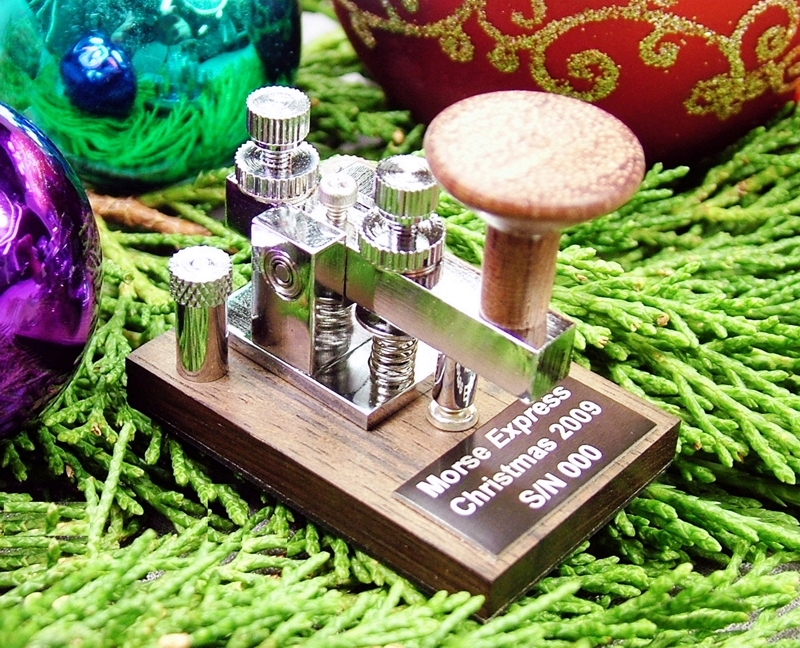 For the 16th year in a row we have commissioned a limited-edition miniature telegraph key to celebrate the holidays. 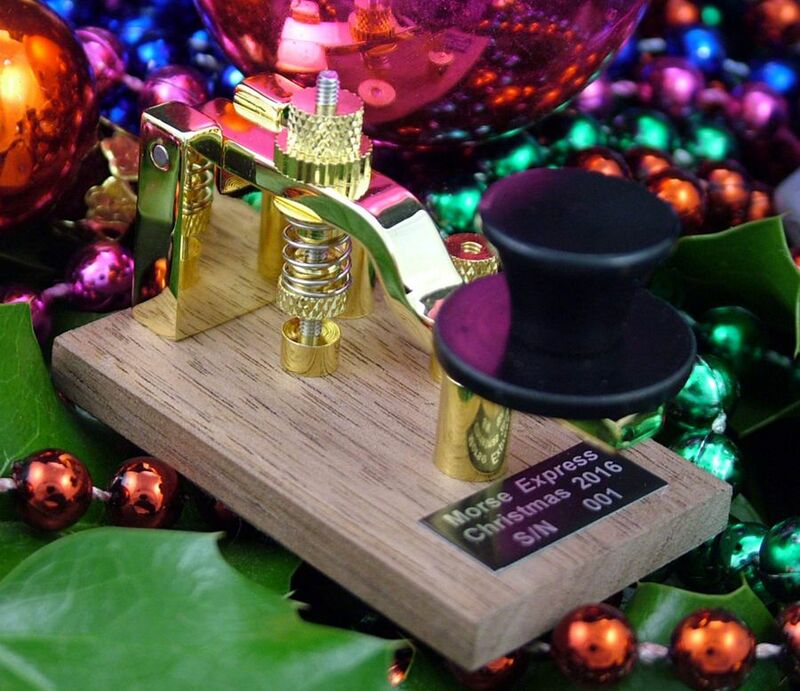 Our 2016 Christmas Key is a fully functional miniature rear-pivot key commissioned by Morse Express and made by GHD Telegraph Key in Sendai City Japan. This year’s key features a gold-plated brass mechanism on a walnut base. The sculpted knob (with skirt) is over the base, providing a stable platform for comfortable use. It measures 1¼" x 2" (32X 50mm) at the base, It is 1½" (38mm) tall depending on adjustment, and it weighs just over 1½ ounces (44 grams). The key is fully adjustable, with precision pin bearings, miniature binding posts on the right side of the base, and hard silver contacts. Lever tension is provided by compression spring forward of the trunnion post. The wire traces are routed into the bottom of the key and covered by a felt pad. This is a miniature key that will be equally at home in the radio shack, in the field, or as a holiday decoration. The Christmas keys represent my annual opportunity to play around with key design and to have a master craftsman carry out the work. This year we agreed on gold-anodized polished brass mechanical parts and I believe this is the first time that GHD has done this. The result is really gorrgeous with a depth of finish that really stands out. The two miniature binding posts are on the "far side" of the base, keeping the connecting cable tidy and out of the way. The Morse Express 2016 Christmas Key is a limited edition of 150 keys priced at $89.95, plus shipping and handling. Each key has a label with “Christmas 2016” and a unique serial number. You can place a secure credit card order by clicking on the the "Add to Shopping Cart" button below, or call (800) 238-8205 toll free to order by phone.